This Turnabout LP was bought in New York in 1978. It then travelled - together with a still-treasured 590 page MOMA catalogue! - in my baggage to Los Angeles and on to Mexico, before returning with me to the UK via Houston. 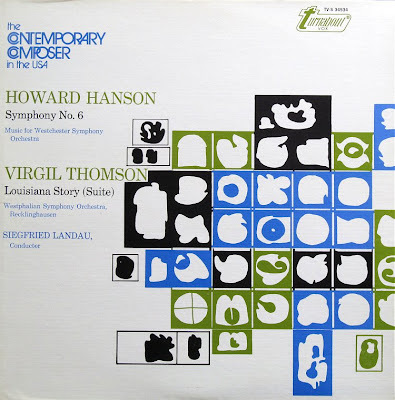 As can be seen from my photo the vinyl disc remains in mint condition and Howard Hanson's overlooked Sixth Symphony resounds in all its analogue glory as I write. I treasure this record not just for the music but also for the rich additional content that supplements the abstract music. This meta content extends beyond the stylish artwork and informative sleeve notes, to memories of where and when I bought it and the journey it made with me half-way round the world, and these in turn trigger a complex and infinite network of synaptic linkages. Meta content held in my long-term memory makes this music particularly important to me, and medical research has identified important links between memory and deep cultural experiences. Yet classical music's strategy of choice for engaging new audiences is to decrease demands on human memory by dumbing-down. Understanding that disconnect is an important step towards understanding why classical music is struggling to gain traction in the digital age, and, as a contribution to that understanding, this article explores how authoritative research supports the widely held intuitive view that dumbing-down is counterproductive. In his book The Shallows Nicholas Carr cites research which shows that much of what we absorb from rapidly assimilated digital sources is not transferred from our brain's short-term working memory - the human equivalent of a memory stick - to our long-term memory store - the human equivalent of a hard drive - from where it populates our cognitive processes - the human equivalent of the all-important computer operating system. Which means, to quote Nicholas Carr, "the information lasts only as long as the neurons that hold it maintain their electric charge - a few seconds at best... then it's gone, leaving little or no trace in the mind." Deep cultural experiences such as the appreciation of classical music depend on cognitive knowledge gathering and processing. Yet in the obsessive search for short term audience gains classical music is being marketed as a shallow experience shorn of meta content and designed specifically to appeal to short-term, not long-term, memory. Which may provide a much needed quick bums on seats fix, but overlooks the crucial point that audiences attracted by shallow experiences are, like short-term memory, transitory. The link between long-term memory and cognitive processes - see diagram below and background article here - is an established scientific fact. Medical research provides objective confirmation of what intuition and audience data has been telling us for a long time, namely that meta-lite formats such as BBC Radio 3's 'Breakfast' programme, Sinfini Music's 'Cutting through the classics' and Classic FM's 'Smooth Classics' are the wrong way to engage and retain new audiences. Instead of targeting the short-term working memory by eliminating meta content, classical music should be making its content richer, deeper and more attractive to long-term memory. We need look no further than the enduring appeal of Wagner for proof of the power of meta content. His music dramas are self-sufficient if viewed as abstract music. But they are infinitely enriched by their complex layers of meta-content - mythology, symbolism, phenomenology, allegory, religiosity etc - which trigger the crucial cognitive processes and produce the deep cultural experience that is the essence of classical music. Earlier this year I discussed how sticky meta content is the key to engaging new audiences and how its elimination, as practised by fashionable revisionists, has the opposite of the desired effect. I then went on to suggest that classical music needs to create new and more relevant meta content, because this is the essential glue that sticks the music and audience together. 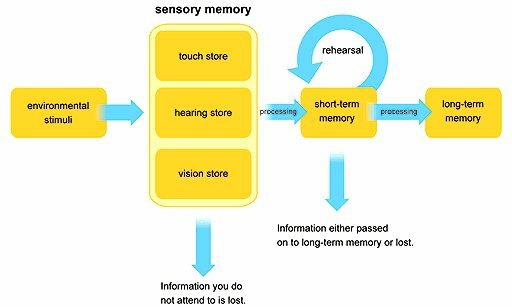 Medical research supports this hypothesis; which means that the key to reaching and retaining new audiences is populating long-term memory by making classical music more - not less - sticky. There is discussion of how this can be achieved in Why Classical music needs to be sticky. Excellent. Thank you. This could easily be applied to other activities besides musical ones.